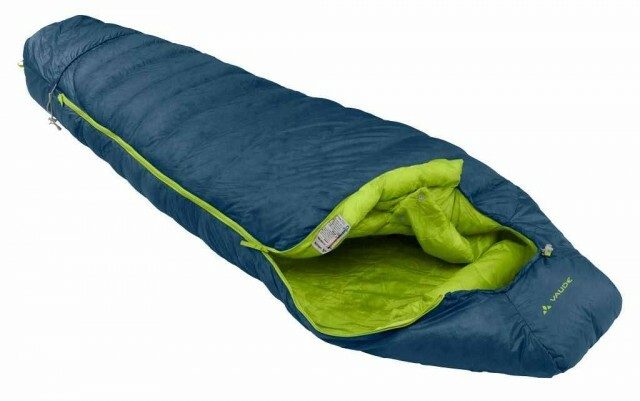 Takes you light as a feather to sleep: modern, technical and extra-long 3-season mummy sleeping bag for extreme activities such as high-tours and expeditions in cold regions. Filled with premium 90/10 duck down. The Peak 400 XL is very lightweight, water repellent and consistently warm by the H-chamber construction. The three-dimensional extreme thermal collar provides comfort. The hood opening can be closed up to the size of a small air hole. Head and footboard are made of waterproof material to protect the sleeping bag from damp tent walls; addition, the foot can be used as a practical packing bag. 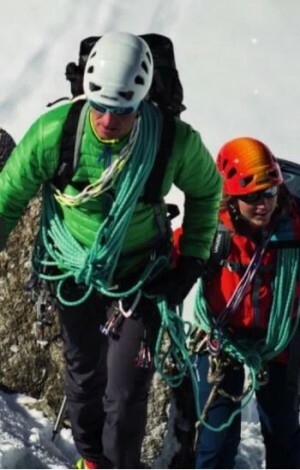 A drawcord in the foot of the sleeping bag can either be shortened for smaller people or a dry, warm area for clothing and footwear are created. 90/10 Grey Duck Down 650cuin Europe - down is filled in Germany - lightweight fabrics with water repellent treatment - side zip to 40 cm in front of the foot for better insulation in the foot area - dividable zip with two sliders for connecting - warmth collar - contoured hood - Footmuff - integrated foot section with drawstring, used as storage sack - length adjustable with drawcord, resulting "footmuff" can be used as a storage bag or extra insulation in the foot - extremely durable compression sack included - inside pocket for essentials. Green Shape is VAUDE's your guarantee for environmentally friendly products - from sustainable materials and resource-saving production. Our goal is the best for man and nature. bluesign ® standard is the world's most stringent textile standard for environmental protection, consumer protection and occupational safety. All environmental aspects of production are evaluated at the screening permanently optimized use of materials, energy, water, waste, air emissions, noise, waste, management of hazardous substances. For our down sleeping bags we use down from Poland. Polish down enjoy an excellent reputation for quality, thermal performance and excellent loft. In a sleeping bag integrated stuff sack. Pack sack with compression straps.